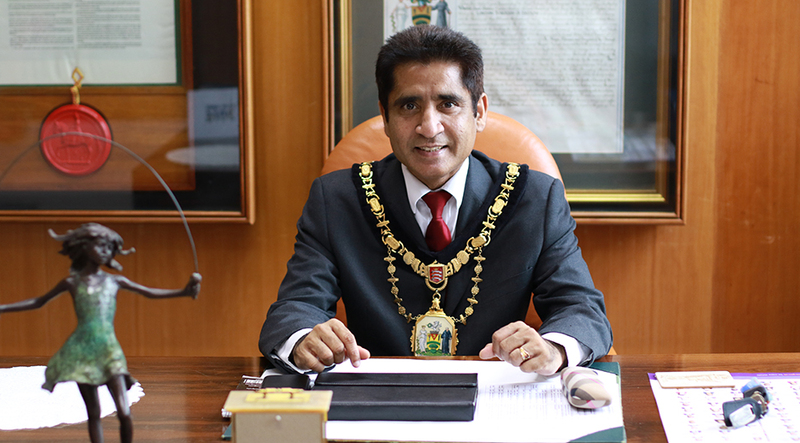 Middlesex alumnus and Mayor of Harrow Krishna Suresh is not your average politician. Alongside chairing council meetings and visiting local schools, this part-time actor, director, dancer and singer, known as ‘London Baba’ by the Tamil community, has starred in no fewer than six Sri Lankan movies. His education and career to date have been as varied as his hobbies, with account management for Samsung and computer-aided design for a chemical engineering firm on his CV alongside his political endeavours for the Labour party. Born and bred in Nelliady, Sri Lanka, Krishna left his homeland in the 1980s to join his brothers in London. Upon arriving, he first took a language course before enrolling in an engineering programme at a local polytechnic. 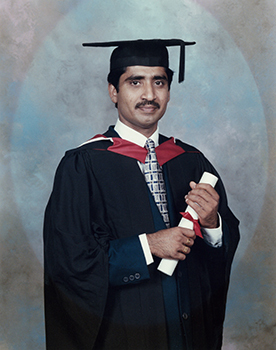 He later joined Middlesex in 1993 – taking a Combined Studies degree comprising modules in maths, IT and accounting. “I was really into knowing everything!” he confesses, having since added an honorary doctorate from the International University of Malaysia for his social work to his expansive academic CV. Krishna’s reasons for joining Middlesex were as varied as he interests: his sister-in-law had studied there; the accounting and finance department had the “best” reputation; there was an international community of students to join; and, of course, the 183 bus from his home in Harrow stops right outside. And it was forging these friendships at Middlesex that put the young Krishna on the path to mayorhood. The seed having being sown, when his friend and Labour Co-operative Party member Gareth Thomas approached him for help with his 1997 general election campaign, Krishna soon found himself delivering leaflets to local homes – something he says he always spends five minutes teaching today’s recruits so they can avoid the perils posed by overzealous pet dogs! 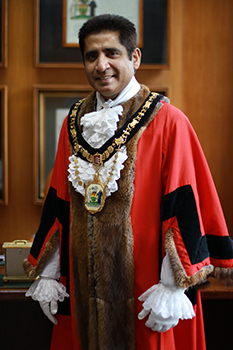 That year Thomas was elected as MP for Harrow West and Krishna was on the path to becoming a councillor and then mayor of the borough he holds so dear. A relentlessly positive person, Krishna hopes his story can inspire the next generation of international students at Middlesex in the same way that he says his mother inspired him. As someone who says he “never gives up” and has a “win-win attitude”, it’s perhaps no surprise Krishna has a personal motto designed to inspire those around him: “Living might be a struggle, but life is about faith. Be brave, sincere and meet the challenge without fear,” he enthuses. It’s a refreshingly optimistic and inspiring outlook from one of north London’s larger-than-life citizens and one that can no doubt help spur on the current cohort of Middlesex students to achieve great things.